The early, organ-specific diagnosis of malignancy continues to be a major unmet medical need. Clearly the ability to establish an early diagnosis of cancer is dependent upon an intimate knowledge of the cancer's biology, which if understood at the molecular level should identify key diagnostic and therapeutic manipulation points. Advances in recombinant gene technology have provided significant understanding of the mechanisms of action of oncogenic viruses, as well as of cancer-associated genomic sequences (onco- genes). 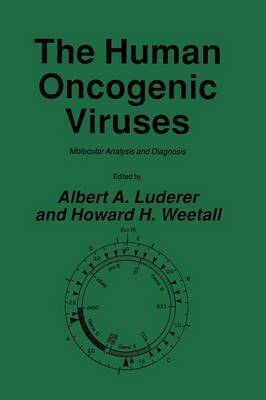 This text will explore the known molecular genetic, biolog- ical, and clinical knowledge of selected human neoplasms that demonstrate association with suspected oncogenic virus and those cytogenetic alterations that either cause or are caused by oncogene activation. The text first reviews the cytogenetics of human cancers link- ing classical cytogenetics and molecular genetics. Avery A. Sand- berg (Roswell Park Memorial Institute, Buffalo, New York) reviews the leukemias and lymphomas, followed by S. Pathak (M. D. Anderson Hospital and Tumor Institute, Houston, Texas), who reviews solid tumors. Functional consideration of oncogenes is highlighted by Keith C. Robbins and Stuart A. Aaronson (NO, Bethesda, Maryland) through their description of the v-sis locus sis and its gene product p.28 ; a protein that closely resembles human platelet-derived growth factor (PDGF).